“Men say that he by the music of his songs charmed the stubborn rocks upon the mountains and the course of rivers”. Thus wrote the poet Apollonius of Rhodes about Orpheus around 250 B.C. The musician Orpheus, the first artist in history according to the tale, could stir living and lifeless nature with his art and yet he remained a stranger in this realm of nature that listened to him in awe. Awe and mutual respect still define an artist’s relation to their audience but so does an artist’s relation to nature around him. After the biggest romanticist composers Schumann, Brahms and Mendelssohn, Deutsche Kammerphilharmonie Bremen will show us their classical side this year. In the opening and final concert for 2019 our festival orchestra will give us a comprehensive look over masterpieces of Vienna Classical. Beethoven’s virtuosic piano concerto no. 4 in G major (featuring star soloist Radu Lupu) will serve as the opening. For the final concert, Paavo Järvi will conduct to combine the “Big Three” of Vienna Classical, Haydn, Mozart and Beethoven. On the 7th of July there will be another performance of Robert Schumann, a romantic summit with Paavo Järvi and Daniil Trifonov. 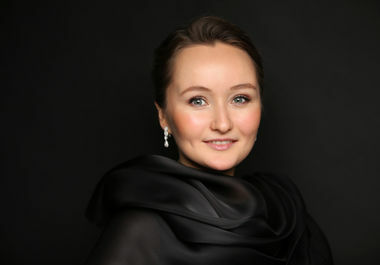 “Agitated by two winds, trembling waves in the turbulent sea” – Vivaldi paints this force of nature in sound and soprano singer Julia Lezhneva adds only the natural sound of her own voice as a personal touch. This, however, forces the focus to shift to the inside: “This heart” is “torn” between two forces, love and duty, just like the wild sea.